Total Party Firework Pac' by TNT Fireworks. 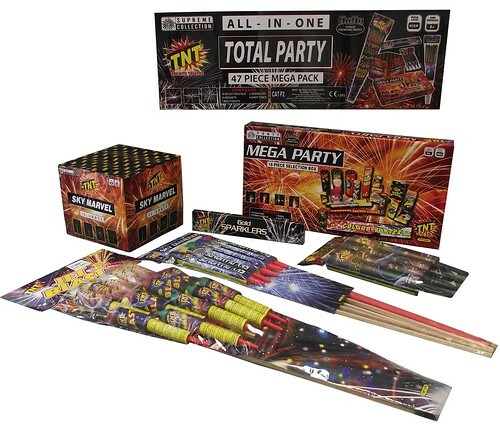 The all in one 47 piece 'Total Party Pack' by TNT Fireworks. A huge array of sound and visual effects; making this a great selection of fireworks priced to bring a smile to you and enough entertainment for even the most discerning of spectators. Originally sold by ASDA for £50, please see below for yourselves - Here at Epic Fireworks, we have reduced the Total Party Pack to £45.